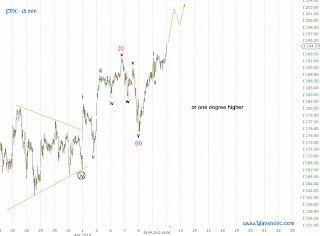 Since cycles turned up last week I expected the indices to rise this week. Well, that's what it did: The SPX gained 1.5 % - This is the sixth consecutive week the market closes up. 1 - In 2003/04 the market rose for 9 consecutive weeks! 3 - Last year, 6 weeks - after the March low. 4 - today, 6 weeks so far. For the medium term I have two slightly different counts. The first aligns very well with the fractal I posted above. 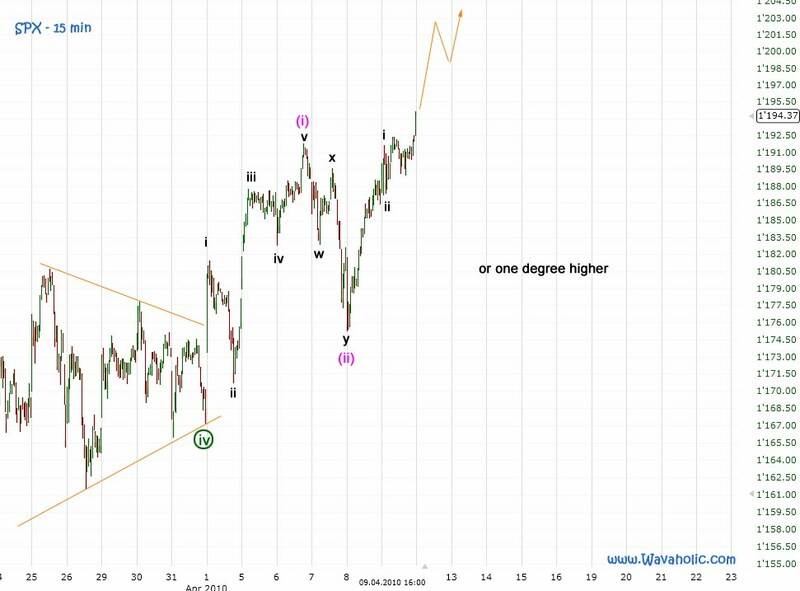 The market would be in wave [v] of 3 of (5) with a target for (5) of 1225ish somewhen in May. 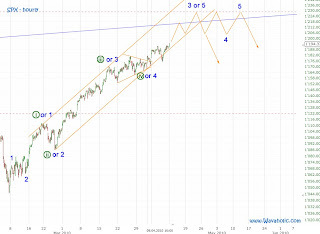 The second one has us already in wave 5 of (5) with the same target but in mid/late April. 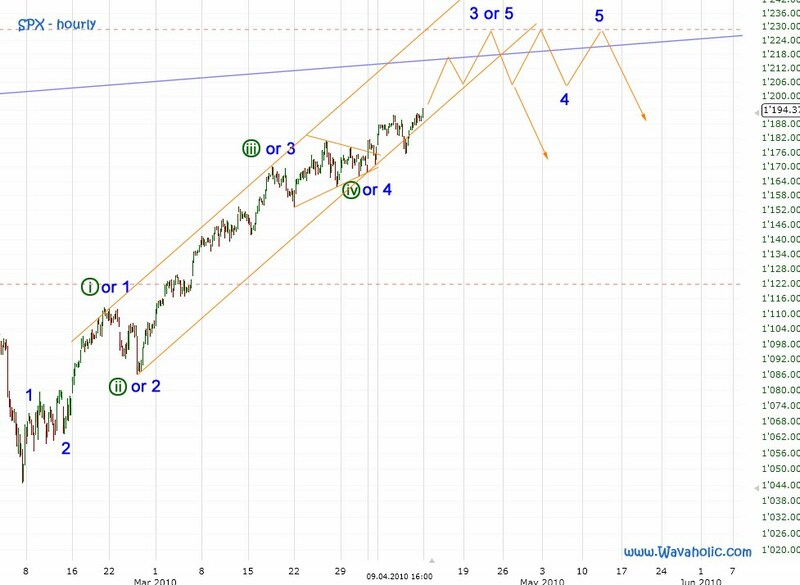 Short term the market seems to be in a third of a third wave (iii of (iii) of [v] of 3 or (iii) of [iii] of 5, depending on the count), thus we should see a nice rally next week. 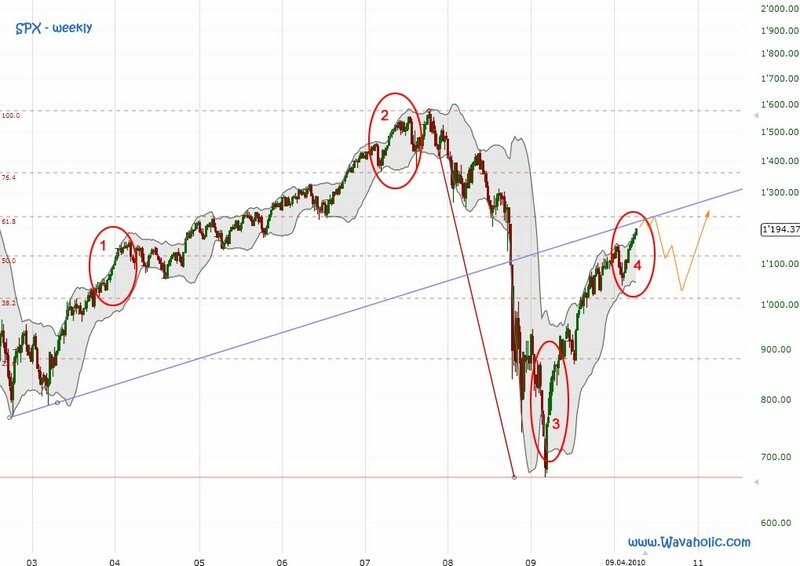 Edit: A short cycle update: One of my cycles tops next week and the other one in mid May, so both dates coincide with the two counts I posted above.